Christopher's hand-carved porcelain art pottery and holiday ornaments are made at his home studio in the Hudson Valley, NY. 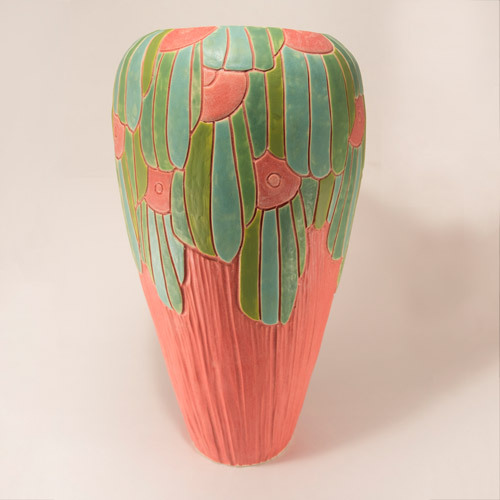 Inspired by his half Mexican ancestry and his expat upbringing in England, he offers varied motifs for different tastes tied together by his distinctive glazes and carving style. 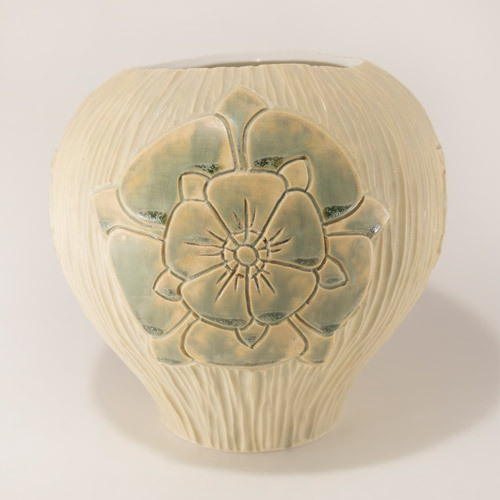 Handcarved porcelain with glazed carving and smooth, raw porcelain surfaces. Part of the Garden line. Please visit www.christopher-brody.com or www.instagram.com/christopherbrodyart to see more. Hope to see you at the show! 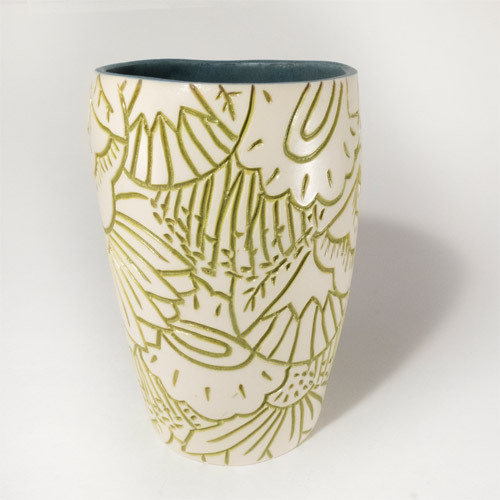 Vase with Mayan feathers design in intricate, multicolor glazing. Part of the Copan line. Please visit www.christopher-brody.com or www.instagram.com/christopherbrodyart to see more. Hope to see you at the show! Part of the English Rose line. Hope to see you at the show!